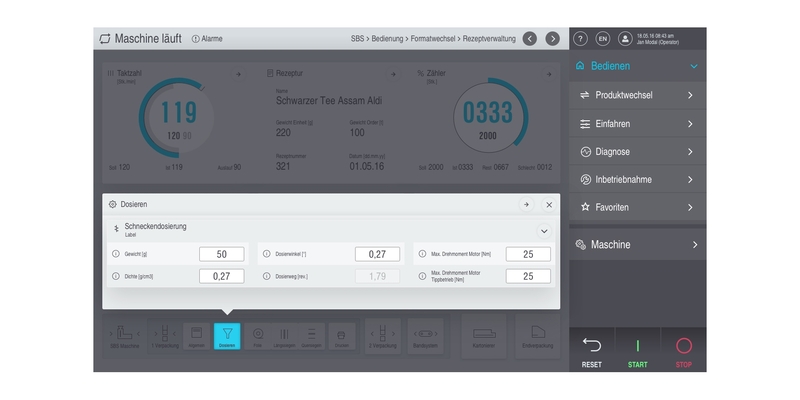 Touch-optimized user interface for the machines and systems of a packaging machine manufacturer. 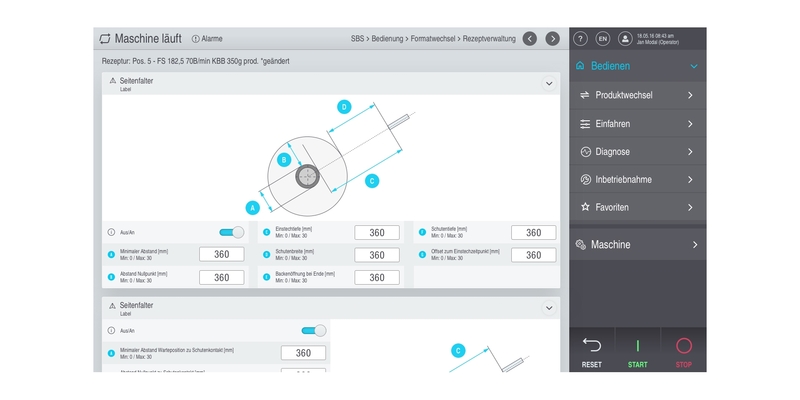 The user-focused and intuitive application is used on multi-touch panels at the machines. The interface has a modular structure and provides a uniform design for all different types of machines. 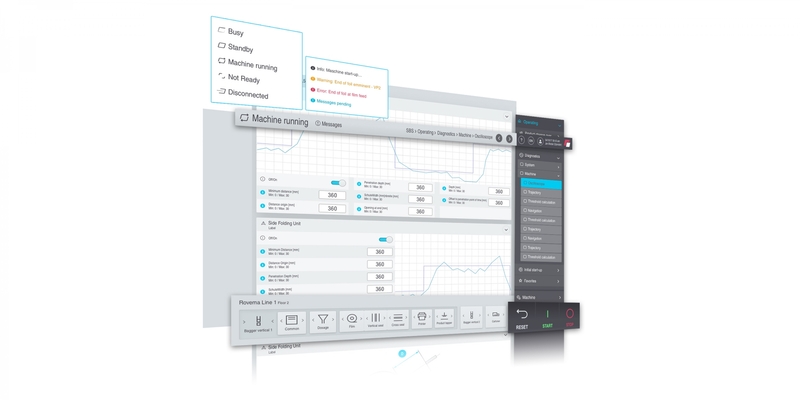 The navigation concept separates day-to-day tasks from setup functions. The contents on the production side are tailored to each machine type. The application allows the users to compile their own favorite functions. Monitoring of both individual machines and of complete lines is possible. Monitoring on mobile devices supplements the functional scope. The operator control has a process-oriented structure and is easy to understand. In the case of complex configuration tasks the user is supported actively by means of step-by-step instructions. A context-sensitive help guarantees rapid access to information whenever required. The reduced and consistent design provides the information volume in a compact form so that important process values are communicated directly and comprehensibly. Ensuring that the operators are supported optimally in their work. The project was awarded with the Red Dot Award: Communication Design 2017 and the iF DESIGN AWARD 2018 in the Discipline Communication, Categorie Apps/Software.